A native of Atlanta, Dr. Taghechian received her BS in biology and BA in Chemistry from Emory University. She remained at Emory University, attending the School of Medicine where she completed her medical degree. Dr. Taghechian completed a residency in surgery and urology at the University of Texas in Houston. In addition to general urology, Dr. Taghechian’s special interest and expertise in prostate health, female urology, urinary control problems and sexual dysfunction. She is a member of the American Urological Association. Dr. Taghechian’s medical staff privileges include Wellstar Kennestone Hospital, Cartersville Medical Center, Wellstar Cobb Hospital and Wellstar Douglas Hospital. 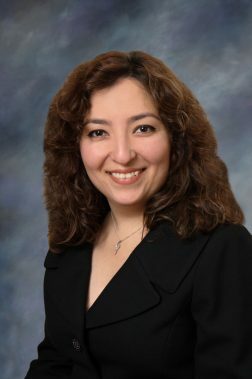 In her spare time, Dr. Taghechian enjoys traveling with her husband, cooking healthy meals and reading. I have found the professionalism, courteousness and friendliness towards patients a huge asset at Georgia Urology.... Keep up the great work! Dr. Shaya Taghechian is the best. The office staff are very friendly and professional. I was glad I found Dr. T. as she explained my problem and helped me to get back to good health. She was the 3rd urologist I saw and I was about to give up. She even recommended a therapist whose help made my situation improve even faster. Recommend her highly. I have been a patient of Dr. Shaya Taghechian for several years and every visit with her has really been an actual pleasant experience. She is easy to talk to and always explains things in an easy to understand way. I love her. I have been to other urologists for the same problem for years. I feel Dr. Taghechian has the knowledge and skill to help me finally solve my problem. She takes the time to listen and explain my options. The Wookstock location is near to Cartersville where I live and is easily accessible. The staff in the office are all very efficient and courteous. Thank you. I feel like the in person follow up for scan results was unnecessary. Kind of a wasted co pay and time. I literally just had the results read to me. So that was kind of frustrating but aside from that you guys were great as always. Thank you for removing the catheter, so sad he couldn't urinate and you had to reinstall it. Hopefully, we can find out what the problem is with his urinating. He has Progressive Supranuclar Palsy a fast acting Parkinson like illness, so not sure if this is related or just something else to deal with. Anyway thank you again! Not an easy job! When I arrived I was not greeted and not sure what to do being this was my first time at the office. After I signed in and sat down I was then acknowledged and called up. Everyone was very nice, but it’s nice to be acknowledged when entering an office. I’m not complaining just think it’s important to say hi, smile, or give a nod of acknowledgment.